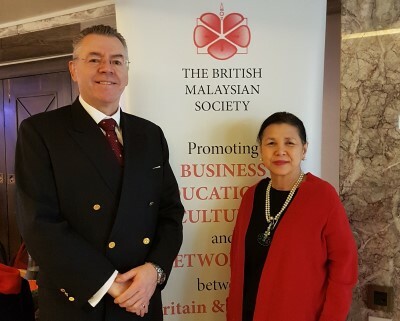 David Stringer-Lamarre, MD of Fortis Consulting London, within his role of Chairman, International Trade & Investment Group, British Malaysian Society, was pleased to attend this event. The UKEC Graduan Career Fair was held at the Royal Lancaster Hotel in London. The fair was attended by several thousand Malaysian students and many Malaysian companies. The British Malaysian Society is active in engaging with Malaysian students attending universities in the UK.